Children are the great blessing in our life. Most of us live for the sake of our children. Parents do anything for their children. Childless couples go through a great psychological pain. Childbirth is a blessed part of a woman's life. All over the world, having children is a very significant part of a marital life. Having children is the blissful state for everyone. We see that our children are growing with good health, Good habits, Good environment, and good education. We want them to have good future for sure. We always work towards that. There are few types of children relatedproblems. The problems start from the childbirth itself. Many couples don't get kids immediately after their marriage. Some couple has infertility issues. Sometime the problems may be with a woman or with Man. Such problems of childless couples are very painful. This can be approached astrologically. There may not be any medical conditions with the couple leading to childlessness. But the problem persists. This can be assessed by their Horoscope and remedy can be done accordingly. 5th house in horoscope indicates the childbirth. An astrologer can find out the intensity of the problems by looking at these aspects in Horoscope. Even Virtues and the sins of the past life of the couple will have the influence on the childbirth in the current life.  Our world famous Indian astrologer Ramdial is an expert in curing children related problems. He can help in curing the couple of the problems of childlessness, delay in pregnancy, miscarriages and so on. Other types of problemsare, sometimes we see our kids get intosetbacks in life. They may have health issues, growth issues i.e both mental and bodily growth, development issues, Studies issues, Emotional growth issues and so on. Astrology can provide respite for all sorts of children related problems. Astrologer Ramdial is an expert in solving Children related problems with his astrological knowledge, skill, and Experience. If you are longing to have a child or have children related problems like aggressive behavior, inadequate child development etc. just contact astrologer Ramdial. He is an excellent astrologer and the best spiritual Indian astrologer in USA and Canada to solve Children related problems.His solutions are astrological. He can also assess the situation through reading the horoscope, palmistry as well as numerology of both the parents and children. Then he plans for the appropriate remedy such as Pujas, mantras and Havan at home and so on. He also gives a plan of long-term prayers, offerings for parents to pass on the divine benefits to their kids and their good life and future. 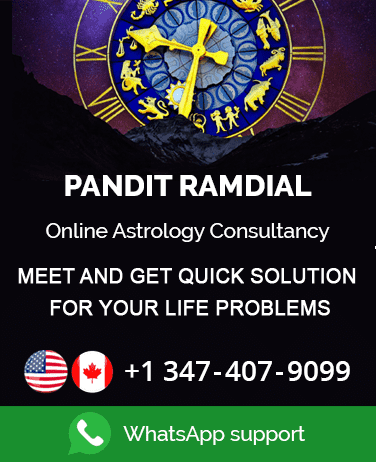 Even if you don't have any major children related problems you can always approach Pandit Ramdial for the making of kid's horoscope and getting consultancy for kids good future.